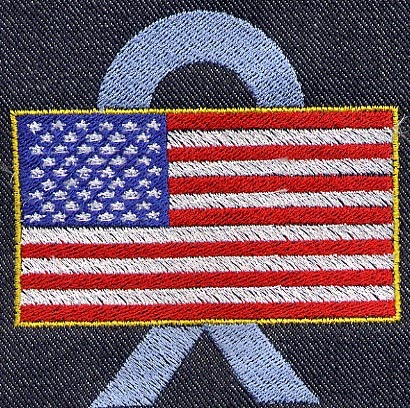 Embroider this American flag that includes a blue Solidarity ribbon. Flag size is approximately 2” x 4”. Finished project size is approximately 4” x 4”. Hartsdale Fabrics has generously provided this digitized American Flag and Solidarity ribbon to anyone who wishes to use it. This artwork is being distributed freely with no copyright restrictions and may be used for personal or commercial use. It is asked, however, that a fair share of any proceeds of any sale of this artwork be donated to the American Red Cross.